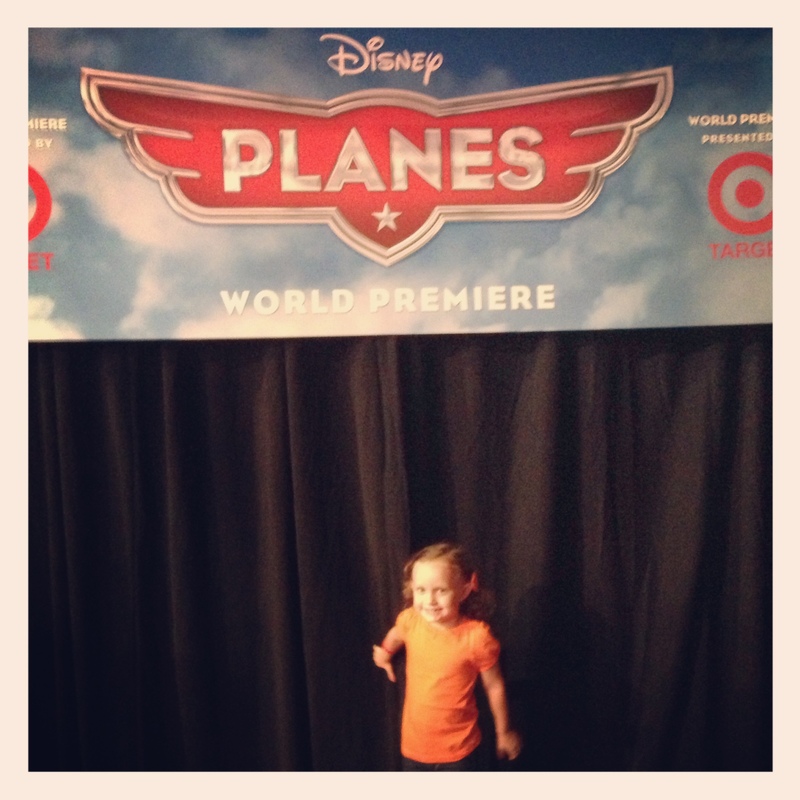 Up, Up and Away: The World Premiere of Disney’s ‘Planes’. Last week I found myself in the middle of a colossal house move with a family of four (soon to be five!). We finally decided that enough was enough and after a few years of tripping over toys (and one another) we moved from a town house into our first single-family home. There are few things more painful than having to pack up everything you own and truly take inventory of how much junk you actually have. I will start by saying that we did one thing absolutely right: with a 2-year old, 3-year old, a dog and a pregnant wife, we overlapped our move by five full days. Jen and I understood our physical limits and were lucky enough to have this flexibility. My dad came down on a Saturday (I somehow got the fishing rod out of his hand and him out of his boat and off the lake) and we knocked out a few U-haul truckloads before the ‘professional’ movers (guys that wore weight belts and boots, unlike me in a bathing suit and my old man in his Birkenstocks) came in and put us to shame. As my wife peeked out the front window, I stood in the front yard trying to create the illusion that I was supervising things, as my phone rang. It was my friends at Target, asking what I was up to. I spared them the agony of fully elaborating about our transition. They wanted to know if I was interested in taking the kids to Los Angeles over the upcoming weekend to attend the World Premiere of Disney’s Planes. As I stood amongst a hundred boxes, I wondered which might be tougher, unpacking this mess or flying solo across the country with two toddlers. I consulted with Jen and we both agreed that I should only take one of the kids. Both of them together could be a potential mile-high catastrophe. So it was settled, I’d take Ava since she’s the oldest. Our first official ‘Daddy & Daughter’ trip alone. Too much happened over the course of our 48 hours away to include in this post, so keep your eyes peeled in the coming days for a full recap of our traveling experience. We DID survive, but it wasn’t without it’s hurdles. The day before we left, as I continued to unpack, we had a knock at the door from FedEx with EVEN MORE boxes…I couldn’t escape them. 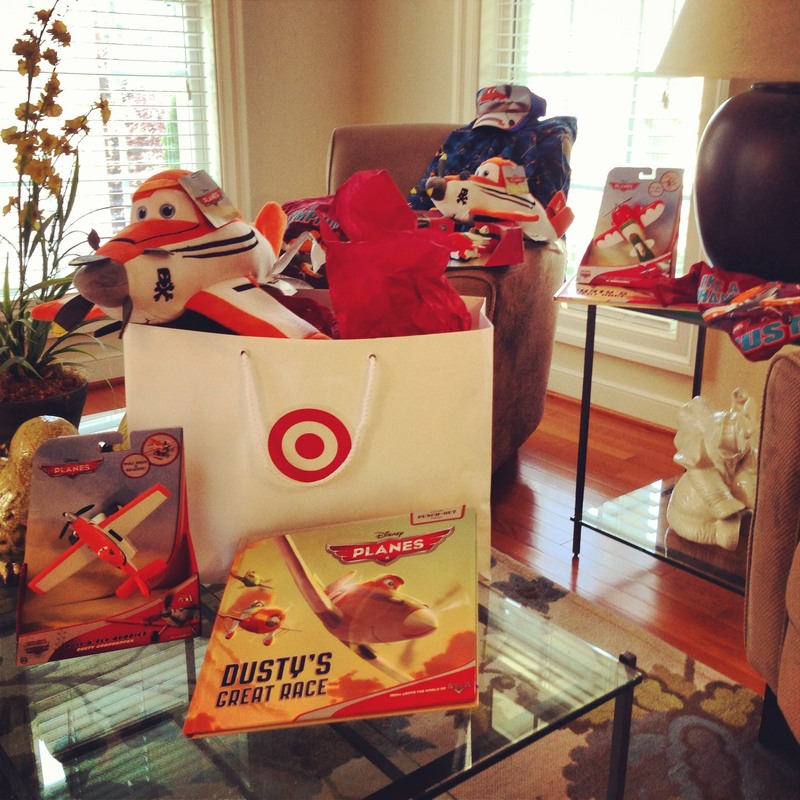 These, however, weren’t filled with linens or the contents of my wife’s shoe closet, but rather a sneak peek of some of the incredible ‘Planes’ merchandise before it’s worldwide debut! …AND broke out this stash after her nap. Clearly she was doing her best plane impression here, flying through the room playing with the motorized replicas, hugging the stuffed Dusty Crophopper and asking me to read her the story about his great race. SPOILER ALERT: I might, JUST MIGHT, have a special giveaway next week with some of these very same items! 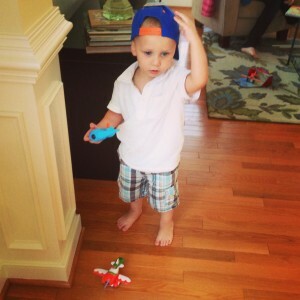 She even put the Planes baseball cap on Charlie’s head and let him pretend to push El Chupacabra across the floor. 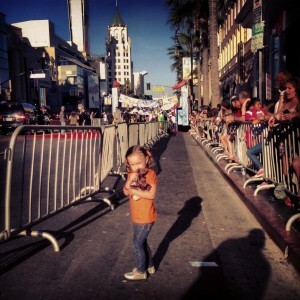 Almost 2,400 miles later, Ava and I arrived on Hollywood Boulevard, poised to approach the El Capitan Theatre. Even though in my former life, during my 14 years living in Los Angeles and working in entertainment, I’d been to dozens of premieres, this was Ava’s very first. 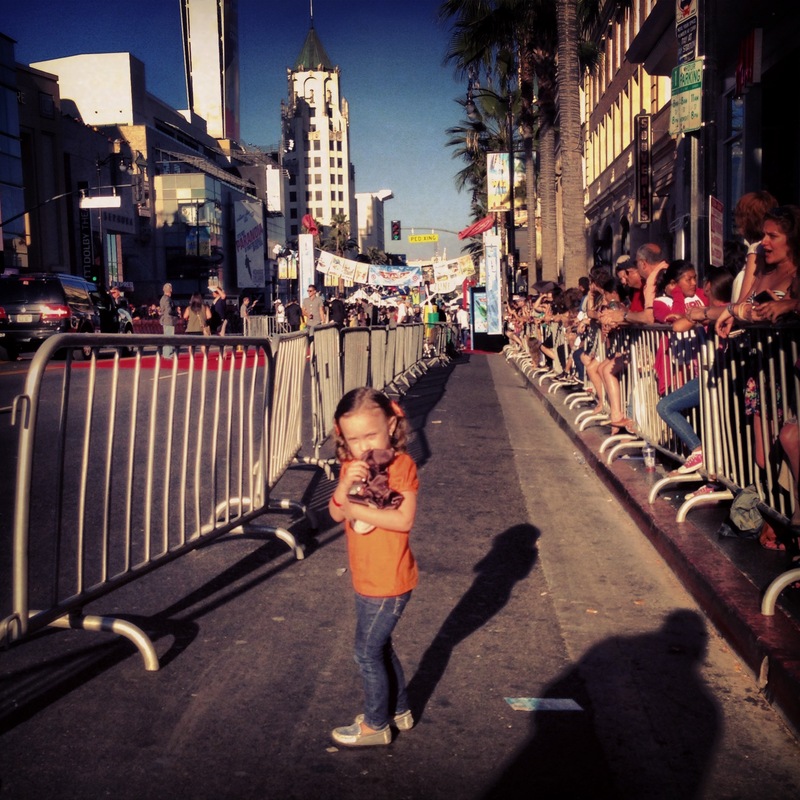 I can’t wait to show her this picture when she’s all grown up, standing at the mouth of the crowd barriers, about to walk towards the red carpet (it was a landing strip!) and pick up her tickets to the world premiere. 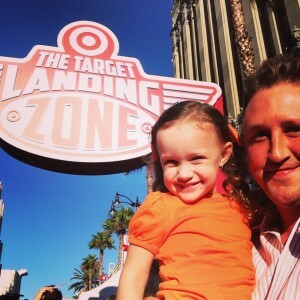 We got there a little early and were greeted by the Target Landing Zone, a pre-event which had the Boulevard shut down, complete with a giant inflatable jet, games, food and a plethora of Planes toys and merchandise that can only be found at Target. And it wouldn’t be a true Hollywood premiere without some celebrity interaction. Little did she know that she was standing next Jason Priestley, Alyssa Milano, Teri Hatcher, Tito Ortiz or my old friend, Kevin Nealon. 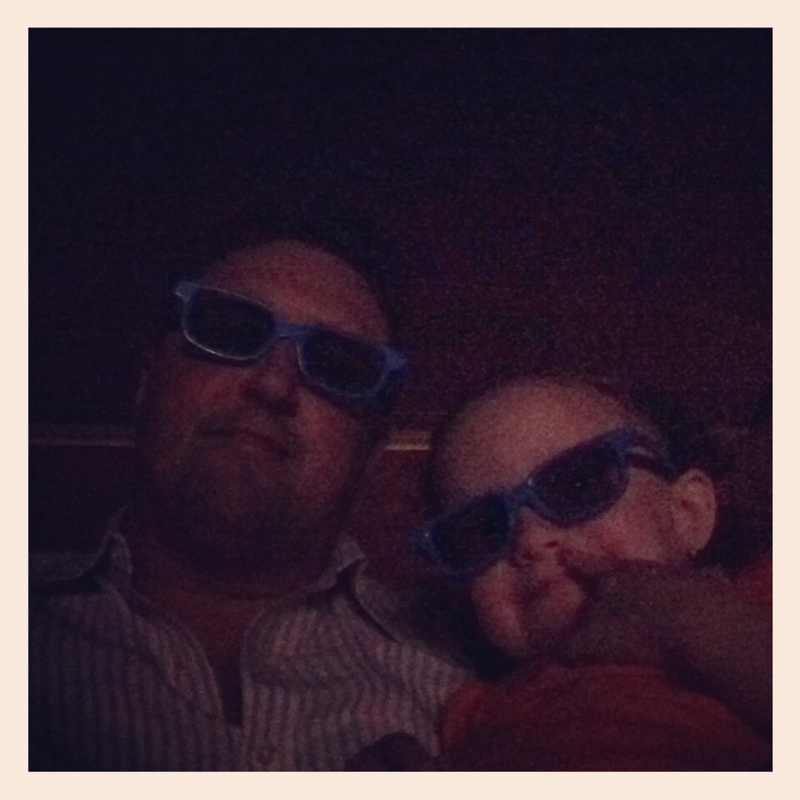 As 6:30 rolled around, everyone was ushered inside and given their 3d glasses and popcorn. 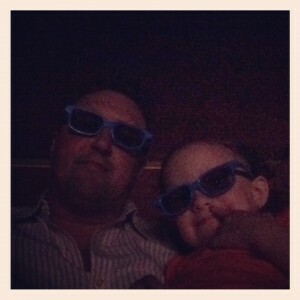 Luckily for me, this wasn’t Ava’s first multidimensional rodeo and she actually kept the glasses on through the entire movie…and don’t tell the ushers at the theater, but I secretly kept my phone on to capture a great moment, with Ava sitting on my lap, watching Dusty prepare for his race around the globe. She was so enthralled by the story and animation, that we never even got up for a bathroom break…someone call Guinness Book, this is a record for my kid. Even though she’s not even (almost) four yet, I felt like she understood the love, friendship and plight of the underdog that shines through in this movie. All in all, the opportunity to share this moment with my daughter will forever live in my heart and hopefully in hers too. I need to cherish these moments because before I know it, she’ll dust off her propellers and fly out into this world on her own. « Target Acquired: The Great Outdoors. YAY!! 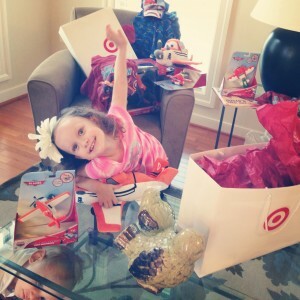 LOVE, love, love that you were able to do this with Ava! SUPER great movie and a fab one for her first world premier! Lucky girl! Was great bumping into you at the premiere. I couldn’t believe my 3.5 year old sat through the whole thing, too. Twas a miracle, of sorts. Very, very cool! Glad you and Ava had a great adventure together. I’m looking forward to taking my kids to see Planes soon.